Dan: Now, going back to The Judas Contract … that was a perfect example of melding character beats and a lot of action and the culmination of a story. So, give us a sense of how that particular story came together. Dan: Where was this? Was this in New York? Marv: Yeah. And we would talk out… I’d come in with the idea and then we’d start talking it out and going back and forth and early on I’d go back and rewrite it as a full plot, broken down page-by-page, and George would take that and do what he wanted. The fact that I broke it down didn’t mean he had to follow it. It was my way of pacing the story and he’d use what he wanted or he’d come up certainly with the action stuff, a million great things. You always had characters pop up, certainly at Marvel, who were bad that get redeemed. But this character would never get redeemed. She was insane. In fact, she was the catalyst for everything. She wasn’t working for Deathstroke. He was working for her in many ways and she was leading him because she’s crazy. She’s a total psychopath… and she’d be 15. And she’d be smoking and she’d be trying to seduce him. The very first time we see her, she’s trying to blow up the Statue of Liberty. It’s just that all the fans assumed because we went out of our way to make her cute — but not too cute, with the buck teeth and everything — everyone would assume that she was gonna become good by the end and that was never the case. First thing, we made a promise that day that we would never renege on our view that she’d never become good. It’s sometimes hard to do that with characters you like. You want them to become good or something like that. But we never liked the character enough—because we knew what we were doing with her—we never allowed ourselves to fall for the character. Because that’s bad. That’s bad storytelling. You’re doing what you want as a fan at that particular point, not as the creators. The fans had to accept what we were doing and not do the same stories that they had read 14,000 times before. You know, at Marvel, Quicksilver and Scarlet Witch were villains who became good guys and I could go through a whole list of ’em. — The MARV WOLFMAN INTERVIEWS Index. Click here. — The Surprisingly Simple Origin of THE NEW TEEN TITANS. Click here. Y’know, I never saw The Titans as X-Men, or Terra as a one-off of Kitty Pryde… But then I was never really an X-Men fan. Titans all the way. Deft has saturday, written all over it. Creators who have followed have tried to soften Terra’s character…and they totally miss the point. 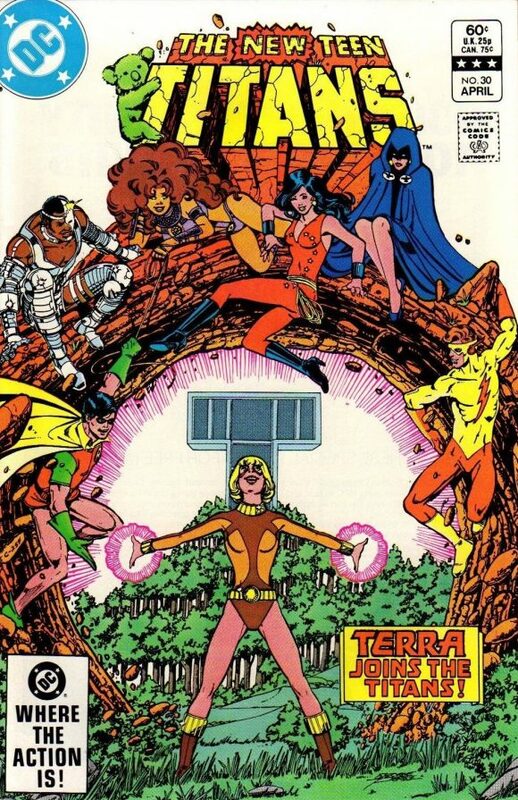 Terra was an irredeemable sociopath from the get-go. It’s a brilliant storyline, and Terra’s nature left a permanent mark on the team. Best to just leave it alone and let it stand as is. Oh, I so agree, Chris. Certain stories should be left alone and that’s one of them. 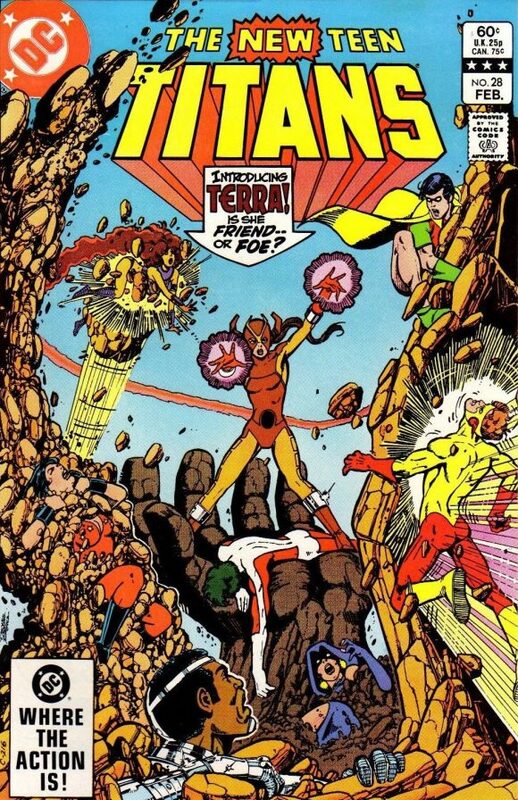 I knew about the Titans/X-Men comparisons- but I never thought about the Kitty Pryde / Terra aspect. Great insight. I do like the fact they struck with their plan and did not give into temptation and reform her. This allowed Gar to develop as a character. Thanks for sharing this!!! The Wolfman/Perez Teen Titans was my “go to” comic in the early 1980s – an amazing run. The Judas contract saga was great – we all kept waiting for Terra to turn good and save the day because that’s what always happen in comics. And it never happened. What was particularly brilliant is that Wolfman never gave the readers any indication that Terra might have a good side – he was completely playing off reader expectations. I think the Titans/X-Men comparisons are very apt. It’s not by accident that Marvel & DC teamed up for Teen Titans/X-Men crossovers. Lost interest in comics in the early 90’s. DC was all I read but the art and writing, character changes didn’t work for me anymore. But – Loved the 80’s for the most part with many cool contributions (despite a harried editorial scene from what I’ve recently read) and Judas was a huge peak. Titans brought me on as a full time reader of comics again with 27 and was I glad I did – just in time for a fantastic storyline. So awesome. Such an amazing contribution. Thanks for the interesting interview!